Kenting is the common name for the (usually tropical) Hengchun Peninsula in the very south of Taiwan. Most people visiting Kenting are there only for the beaches, and the main town of Kenting - whose main street becomes a night market most nights. If not into this sort of thing, don’t worry - it is easy to escape on your scooter into the REAL parts of the national park. Longluan Lake. The excellent visitor center on the west side is equipped with scopes. 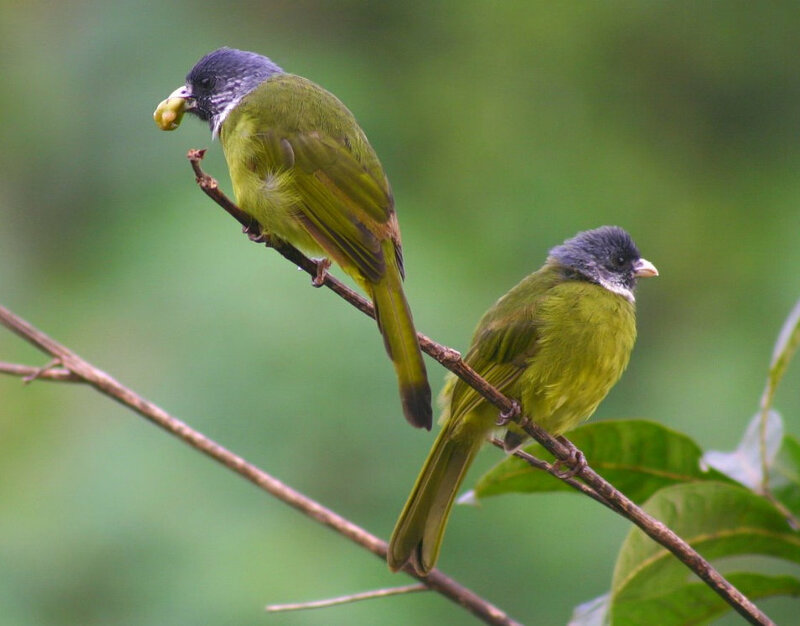 In the parking lot look out for the endemic Taiwan Hwamei. During fall raptor migration season Sheding Park near the Forest Park - on the hill behind Kenting Town. The Manjhou area in the middle of the peninsula is also excellent for resting raptors. At dawn and dusk scout out the area between the ‘raptor bridge’ in Manjhou and the coast at Gangkou. Try to plan ahead and get permits for Longkeng Eco Area. If not possible, then explore the area next-door at the southernmost point of Taiwan. The scrub can be hold good species - as well as sea-viewing. Also very worth getting the necessary permits for is the hiking trail leading to the lake in Nanren Shan (Mountain) Ecological Protected Area. Fantastic biodiversity. NE part of the national park. I’m not very familiar with it, but some people recommend the west side between Guanshan and the national aquarium. On this visit I only had time to briefly check Longluan Lake and the Southern Point. Some birds seen - highlights, not a complete list. Pleske’s Warbler - brief views in scrub near Southern Point. Had been tipped off, needed audio to confirm! Glossy Starling (established escapee, but not common here so nice to see...for now), Zitting Cisticola, Spot-billed Duck, Oriental Skylark, Ruddy-breasted Crake, Taiwan Bulbul, Oriental Reed-Warbler and Scaly-breasted Munia, Collared Finchbill, Hwamei, Black-naped Monarch. Three Wedge-tailed Shearwaters from the Southern Point. About five Brown Bobby on rocky shore near Fonggang Town 30 mins north of Kenting.